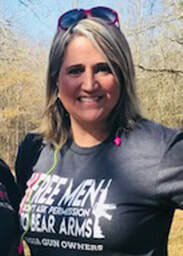 Tori Branum owner of Middle Georgia Female Firearms safety and Training will be joining us for a full weekend of ladies basic shooting classes! Tori is an 8 year Marine Corps Female veteran and certified primary marksmanship instructor through the United States Marine Corps. ​Feel free to visit her Facebook page at Middle Georgia Female Firearms Safety and Shooting classes. Tori will be teaching everything from loading and unloading to clearing a jam and the basic fundamentals of marksmanship! The goal of the class is that by the time you leave you will be able to safely and effectively operate a firearm without the assistance of others. By the end of the class you will have a better understanding of ammo and basic operations of a handgun!